Home » [EVENTS] » #High Recommended# » #Indonesia » 2017 » PENANTIAN MENCEKAM RPM DEATHFEST #3 AKHIRNYA TERBAYAR DI 12 MEI 2017 !!! 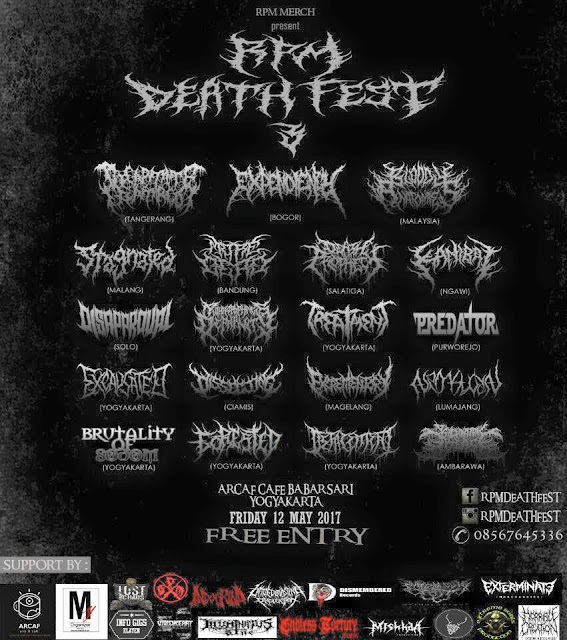 Title : PENANTIAN MENCEKAM RPM DEATHFEST #3 AKHIRNYA TERBAYAR DI 12 MEI 2017 !!!
" RPM DEATHFEST #3 "